Julie Mac Fitness: Kick off 2012 with a killer kettlebell workout! 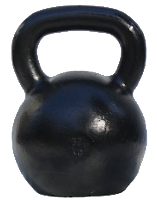 Kick off 2012 with a killer kettlebell workout! First time dropping in to a class is only $5. Then you can either buy a punch card for $150 (12 classes) or pay $15/class to drop in. Please email me at register@juliemacfitness.com before the first class you attend as space is limited.